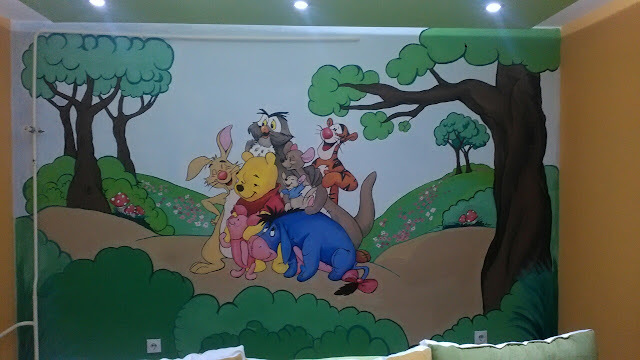 Well, there are many ways how you can decorate some place . 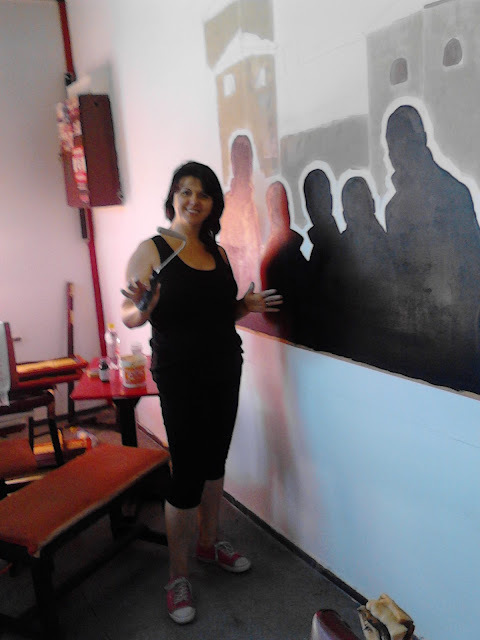 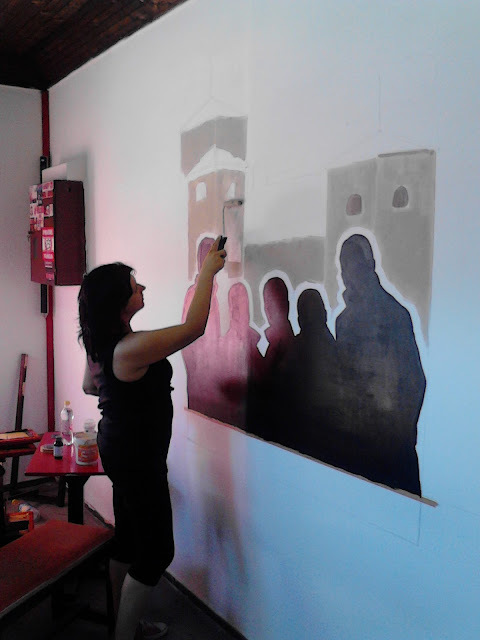 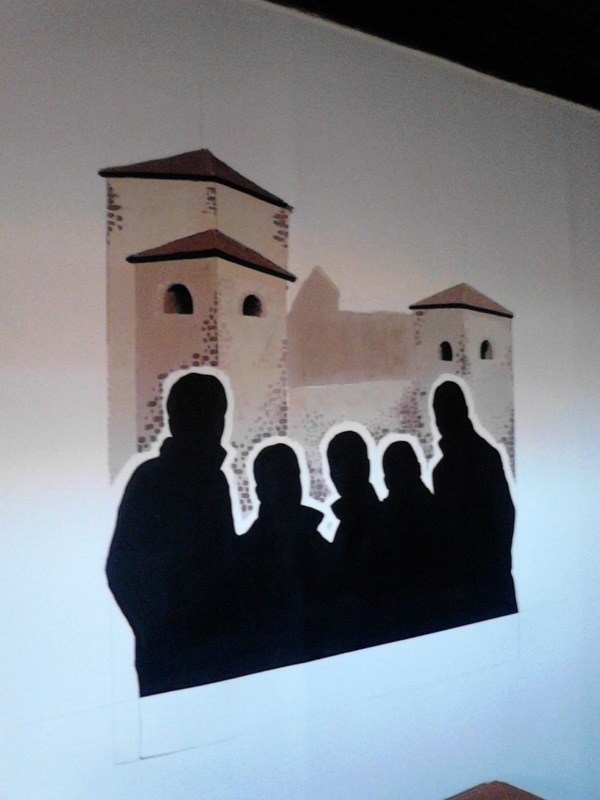 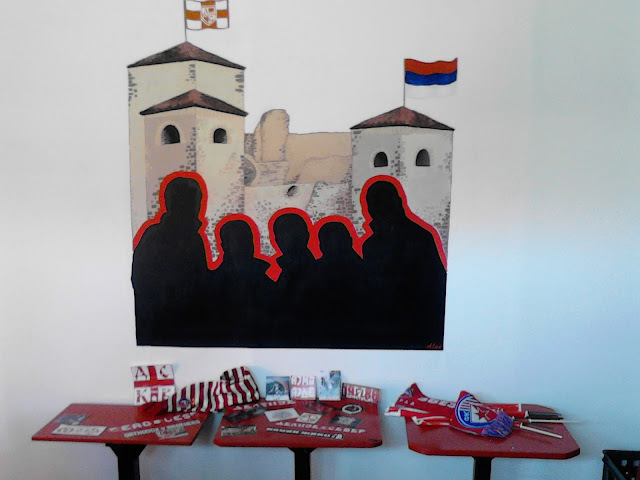 I was drawing on the wall in football fan club ''Crvena zvezda''( Red star).I was painting with usual paints for wall decoration. 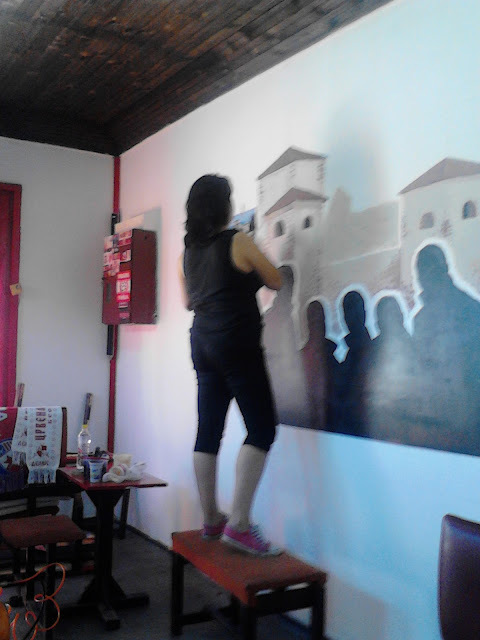 Nothing expensive , but effective.